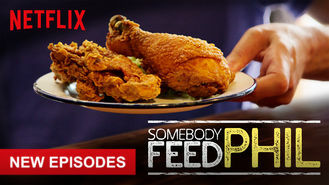 Somebody Feed Phil (2018) on Netflix Ireland. Check worldwide Netflix availability! If Somebody Feed Phil isn't available in your country, or you are visiting a country where it isn't, there is still a way to watch it! "Everybody Loves Raymond" creator Phil Rosenthal travels the globe to take in the local cuisine and culture of Bangkok, Lisbon, Mexico City and more. Pho. Hummus. Crawfish. Mezcal. He's ready to sample a whole world of flavors. And he's bringing friends.